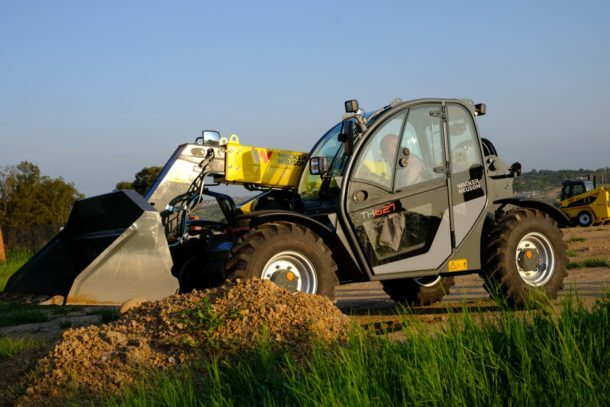 Construction equipment and compact machines specialist, Wacker Neuson South Africa, considers its dealer network integral to upholding customer service excellence. In line with this dealer-centric approach, the past few months have seen the roll out of a number of new dealerships both in South Africa as well as cross-border. While previously Dealer Summits were organised at corporate level, Wacker Neuson South Africa took the initiative to implement the first Summit of its kind in the Sub-Sahara African region. On 24 and 25 January 2019, thirteen dealers from across South Africa as well as from neighbouring countries Botswana, Mozambique, Namibia and Zimbabwe, gathered at Wacker Neuson’s premises on Johannesburg’s West Rand to share in this milestone event. Industrial Building Supplies and Plant Hire (IBS) in Windhoek, Namibia, claims the title of longest standing dealer whilst newest kid on the block, All Power and Lawn Equipment in the Limpopo Province, joined the Wacker Neuson dealer fold in January 2019. During the two-day Dealer Summit a business review of 2018, company targets for 2019 as well as a detailed strategy explanation of Wacker Neuson (Pty) Ltd. were unpacked. Enforcing communication and transparency within the dealerships was one of a number of the primary objectives of the Summit. “A Wacker Neuson dealer is not meant to only sell our premium equipment; we want to treat them as part of the family and therefore trust within all business activities is one of our most fundamental drives,” affirms Vietze. The Summit also provided the dealers with the opportunity to engage with international colleagues and representatives from Wacker Neuson production sites in Germany, Austria and the United States who, as product specialists, were able to impart invaluable knowledge. The Dealer Summit 2019 has brought everyone closer together and has staged a unique platform where know-how was gained and experiences were shared for the ultimate goal of unitedly growing the Wacker Neuson brand across Sub-Saharan Africa.